Monsoon could bring the much-needed relief from the sweltering heat of summer, but it also comes with a host of allergies, infections, and diseases. The rainy weather and water lying around also make it easier for mosquitoes to breed, increasing your risk of getting vector-borne diseases such as dengue, malaria, and chikungunya. The rainy season can be quite an uncomfortable one for the expectant mothers. 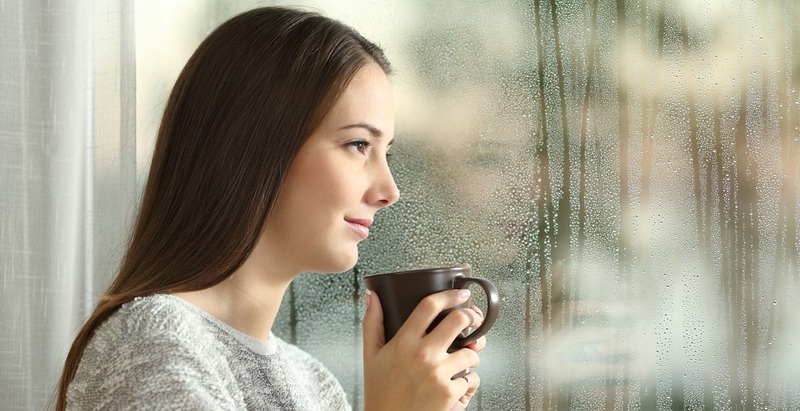 Truth is, the gloomy and humid weather condition can frequent mood swings as well as increase the risk of infections. Stay hydrated: Drink plenty of water (purified or boiled water) throughout to avoid dehydration, which is a common problem of pregnancy in monsoons. It will also provide relief from nausea, fatigue, headache, and dizziness. Avoid eating raw vegetables: Cut vegetables tend to absorb the moisture from the air which can lead to bacterial growth. This can be risky during pregnancy as it poses a threat to the health of the fetus. Instead, opt for boiled or cooked vegetables and that too which have not been lying out in the open for a long time. Certain raw vegetables have enzymes that lead to difficult digestion. Leafy vegetables and raw salads can also get contaminated easily in the humid weather. These can lead to digestive malfunction which can be difficult to deal with especially during pregnancy. The key is to refrain from any such thing. You can eat anything as long as it is freshly cut and properly cooked. Having soups is another way of getting ample nutrients without any health risks. However, always prepare food at home in the clean environment and avoid outside food. Say no to seafood: Avoid consuming seafood during monsoon, which is the breeding season for fish and prawn. Maintain good hygiene: Goof personal hygiene can help prevent a host of infections during monsoon. Make sure that you wash your hands and legs properly using clean water and soap every time you visit the toilet and before eating. Wear right: Wear loose and light weighted clothes to get relief from excessive sweating and humidity. This will also give full comfort to your baby bump. Avoid wearing synthetic clothes as this may cause rashes. Also, opt for a good footwear to prevent fall and give you support. Roadside food is unhygienic in the rains and poses a huge threat to the health of your baby. Steer clear unless you personally know the roadside eatery owner and trust him/her completely. Even then, it’s not worth the risk! If you do step out in the rain, wash your hands and feet and sanitize as often as you can when you’re back home or indoors. This will help keep infections like conjunctivitis and viral fever at bay!